Developing a mobility strategy is essential to the success of any enterprise organization. And there’s a lot to think about…devices, apps, data, storage, management, and support are all key components of a successful strategy. 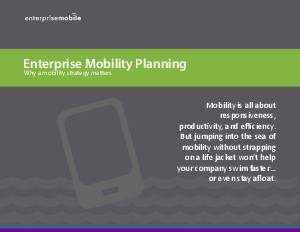 This brief will guide you as you develop your organization’s mobility strategy. If you have a policy in place already, this brief will help you refine it and improve upon its foundation.